Our Kolony Kickstarter campaign funded! 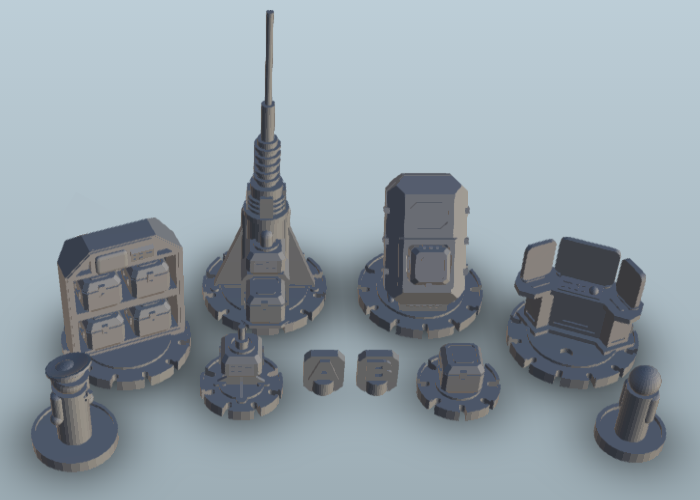 We’ll be working on a whole new collection of 3D printable 28mm sci-fi terrain. 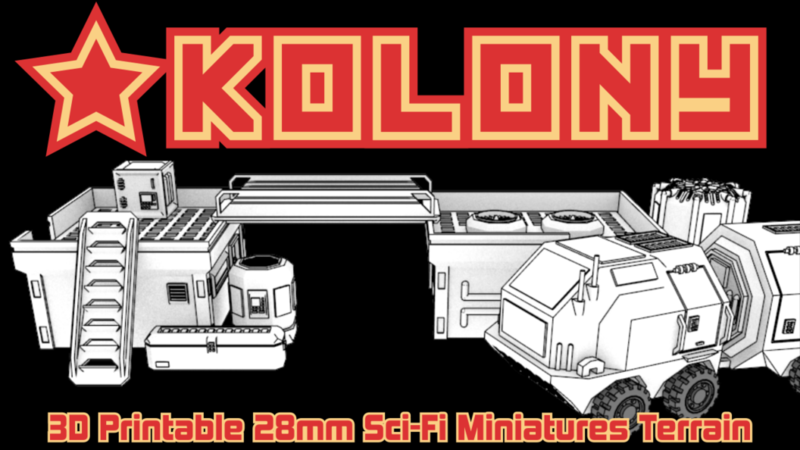 We’ve launched a new Kickstarter campaign to produce 3D printable 28mm terrain: Kolony. A sizable portion of the collection is already complete, with samples available on Thingiverse. The campaign also has a great intro video. Check it out! Our Data Targets Kickstarter campaign has successfully funded! We’ll be producing objective markers for all the backers, and the STL files are already available on DriveThruRPG to print at home. Our Data Targets Kickstarter campaign is well underway! The funding target was hit within a few hours of launch, and backers continue to trickle in. 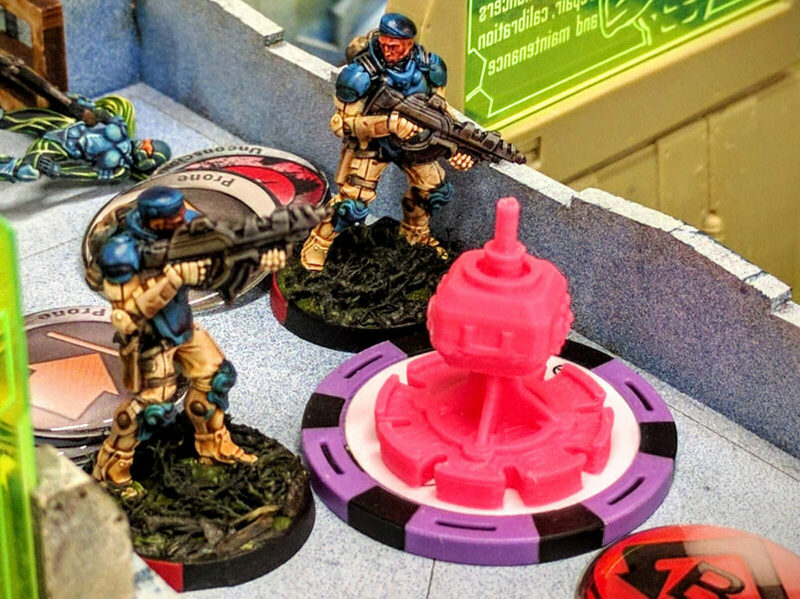 We look forward to producing many sets of these 3D printed wargaming objectives! 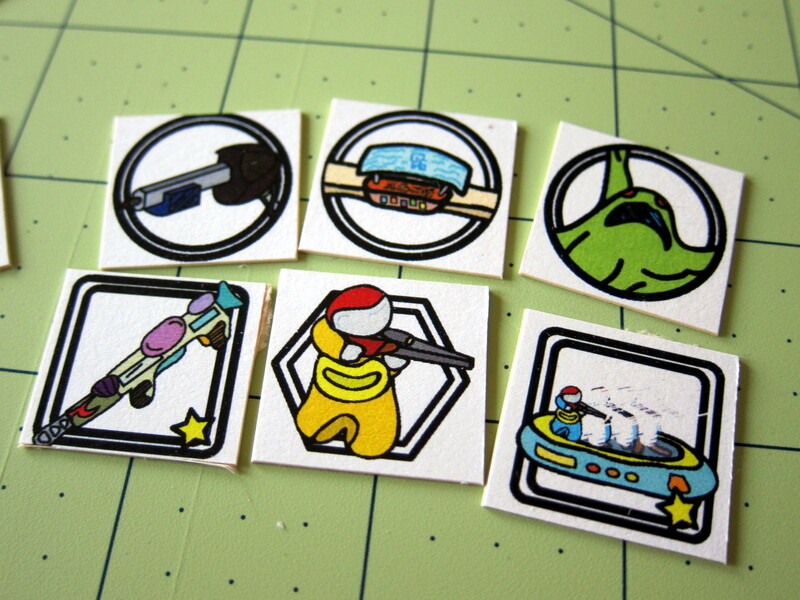 Those with their own 3D printer may get the STLs for these great pieces via DriveThruRPG. Our Arc Guides Kickstarter campaign successfully funded! 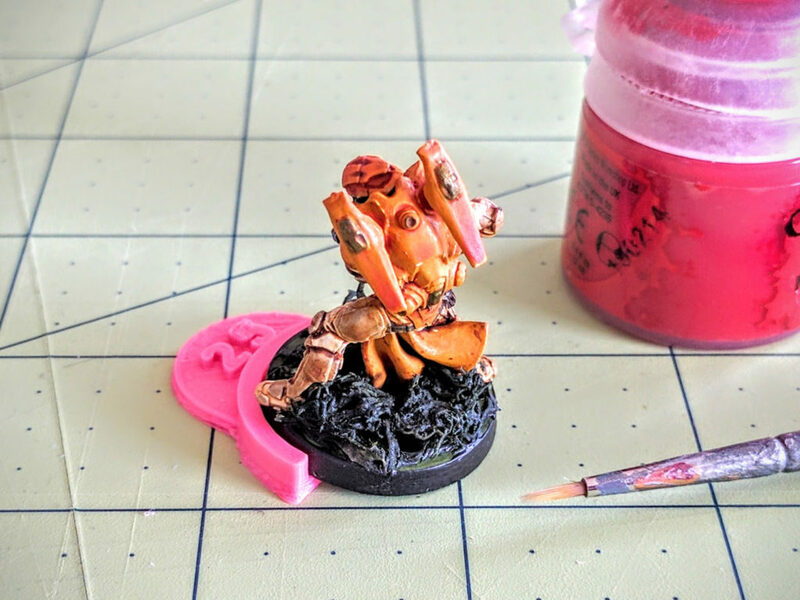 77 backers signed on to get resin cast copies of these simple tools for painting arcs on the bases of wargaming miniatures. STL files are also available as free downloads from Thingiverse. 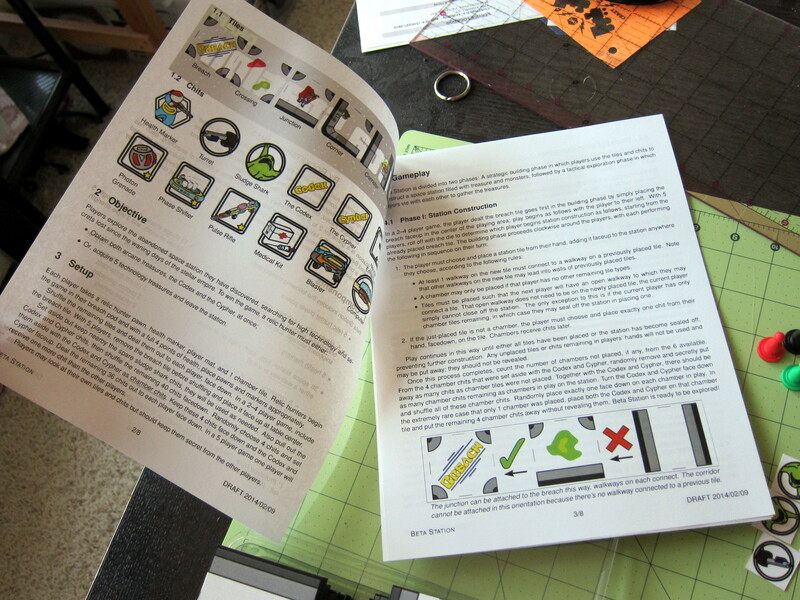 We’ve launched a new Kickstarter campaign: Arc Guides. This is a simple project to produce templates for painting half arcs on miniatures bases. Beta Station is a casual sci-fi exploration dungeon crawl shoot-em-up by Daryl Falco and Joe Kopena. Two to five players take turns constructing a derelict space station and then exploring to find the treasures therein while fighting off monsters and the other players. 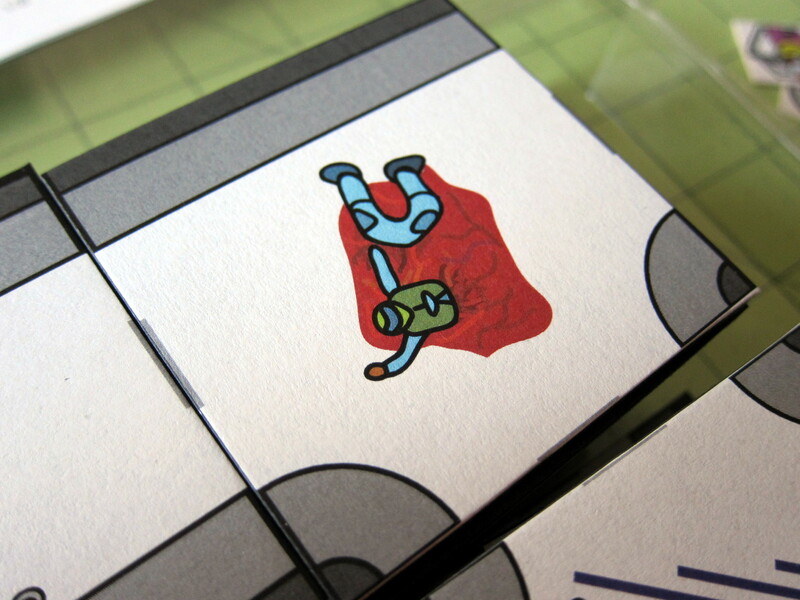 It features a novel map construction mechanic that introduces an element of strategy to exploration usually lost in the “flip-a-tile” mechanic used by most dungeon crawl games. 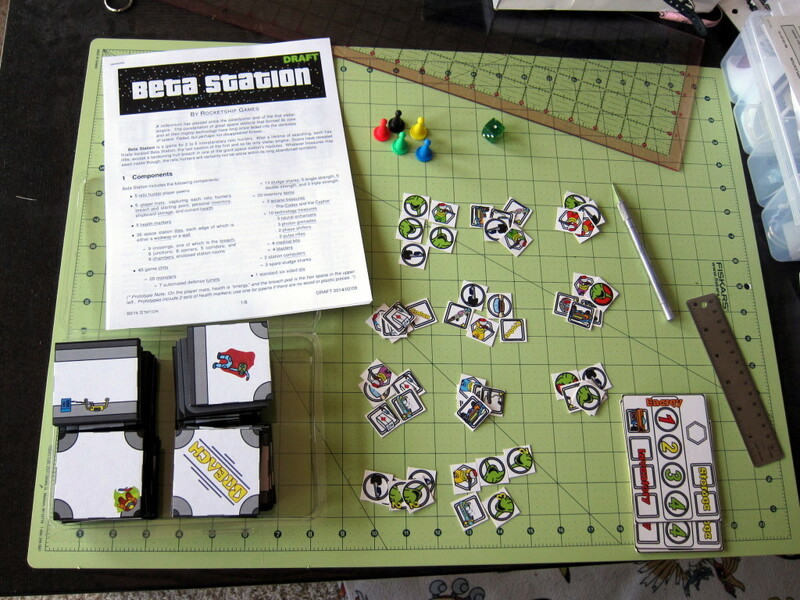 The Beta Station prototype is now available as a freely downloadable print & play game; follow the link to build your own! Beta Station will always be available as a free print & play game, but we are pursuing production options and a possible Kickstarter for later this year to publish a more polished edition. Contact us if you would be interested in supporting that! tjkopena on RocketHaxe Initial Release & Demo Game! lovropalmer on RocketHaxe Initial Release & Demo Game! Rocketship Games · Updates from the void!